Professor N.D.B. Connolly talked about his book A World More Concrete: Real Estate and the Remaking of Jim Crow South Florida, in which he examines the relationship between race and property rights in the South during the Jim Crow era. This interview is part of Book TV’s College Series. Watch the video here. Congratulations to Jacqueline Randell on the publication of her Spring 2014 history senior thesis in Helvidius, the Columbia Journal of Politics & Society! View the online edition. 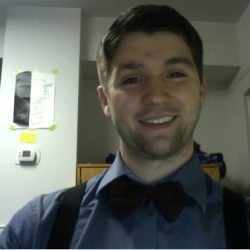 The history department would like to congratulate senior Geordan Williams on winning the 2014 Kouguell Prize for his senior thesis, "Upon the Frontier: Self-Identification Among the Cairo Genizah’s Merchants in the Indian Ocean System." 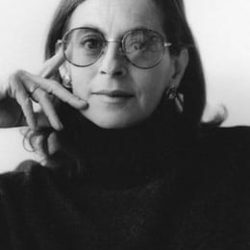 The John Simon Guggenheim Memorial Foundation has announced the 2014 class of Guggenheim Fellows, which includes the Department of History's Prof. Marina Rustow. Thanks to the kind support of the American Historical Association, the Hopkins Graduate Student Professional Development Workshop will host a special session on Alternative Career Pathways on Monday, April 21, 2014, at 2 p.m., in Gilman 308. Marina Rustow has won a Collaborative Research Fellowship from the American Council of Learned Societies for the two-year project “Documents and Institutions in the Medieval Middle East,” to be undertaken with Eve Krakowski (Yale University). At a National Committee on United States-China Relations program on October 10 in New York City, Tobie Meyer-Fong discussed the cultural, social, and emotional impact of the Taiping Rebellion. Eight distinguished Jamaicans are to receive the Institute of Jamaica’s Musgrave Award on October 16, 2013, at the Annual Musgrave Medals Award Ceremony. The medals are awarded for achievements in the literary, scientific, and artistic fields. 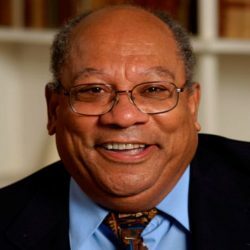 One of two gold Musgrave Medals will be presented to Prof. Franklin Knight. Onlineschoolsmaryland.com included Prof. Gabrielle Spiegel in its list of the Top 25 Women Professors in Maryland. 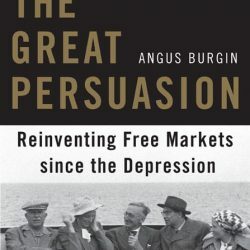 Prof. Angus Burgin's new book, The Great Persuasion: Reinventing Free Markets since the Depression, received the Merle Curti Award for Intellectual History from the Organization of American Historians, and the Joseph J. Spengler Prize for the best book on the history of economics from the History of Economics Society.